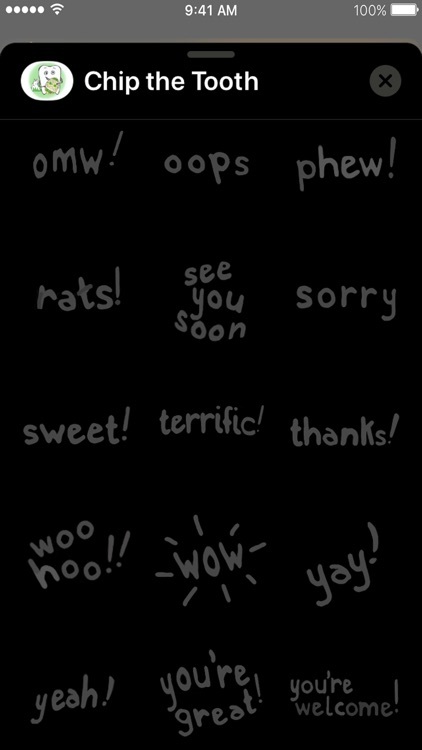 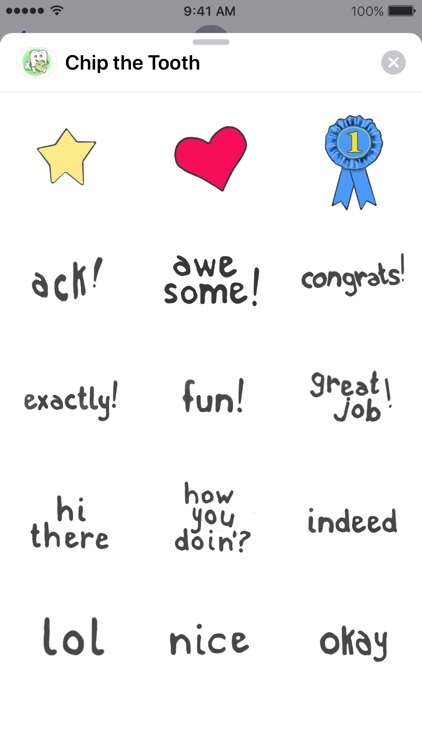 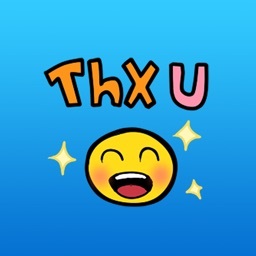 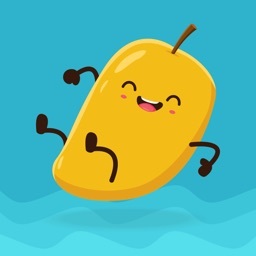 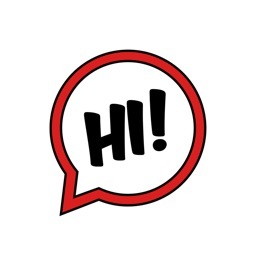 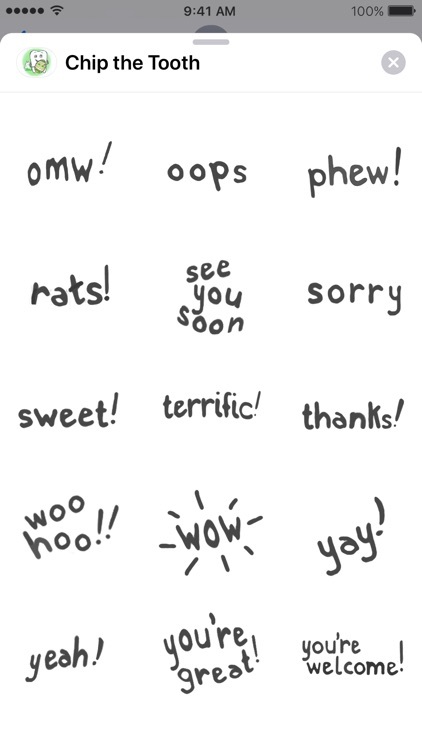 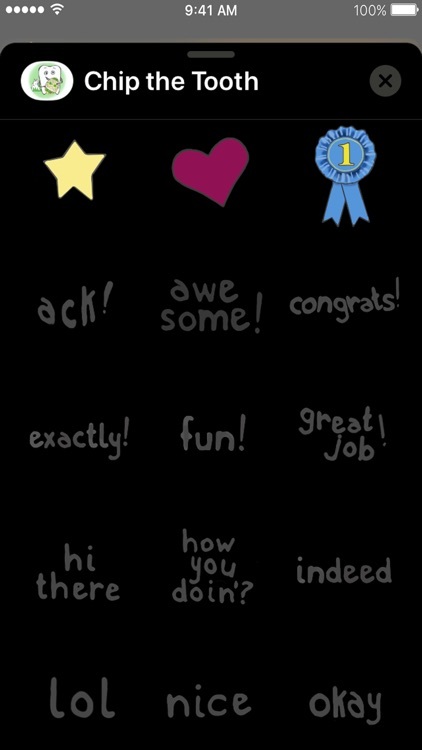 Cute iMessage stickers for the dentally inclined! 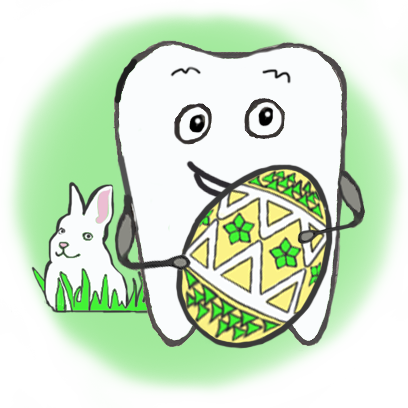 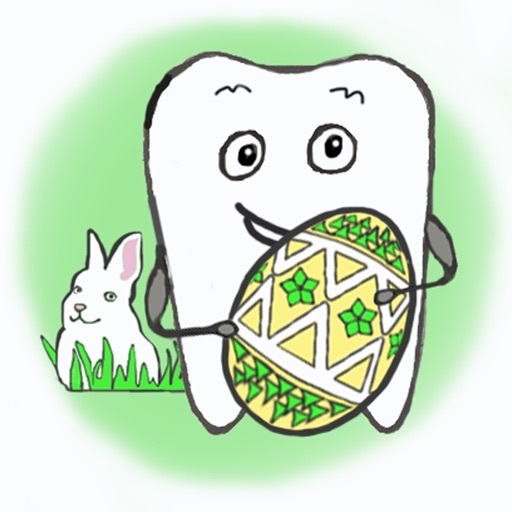 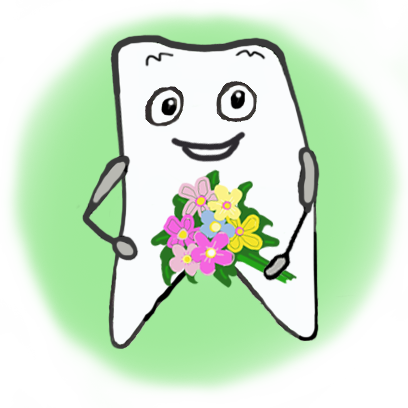 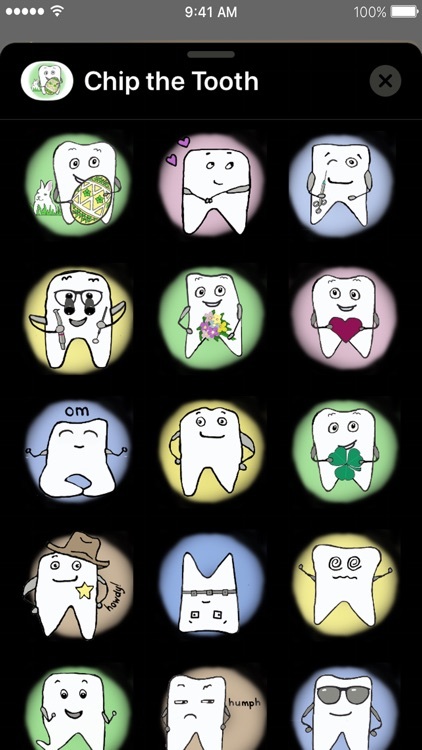 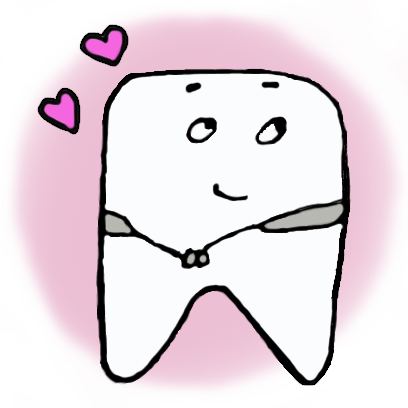 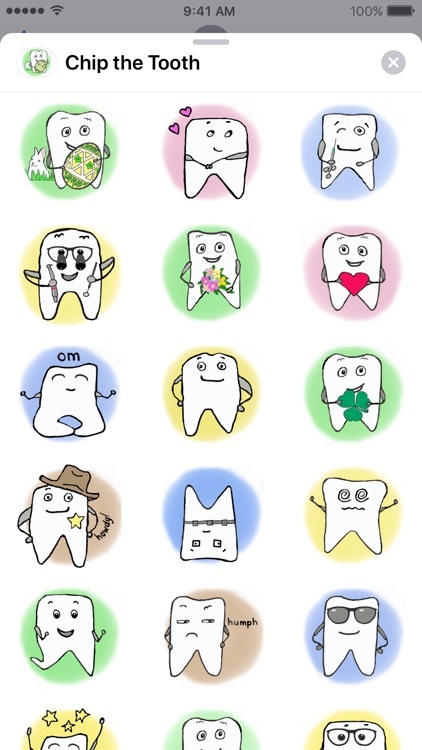 These must-have tooth-themed stickers will brighten your communications and leave an impression. 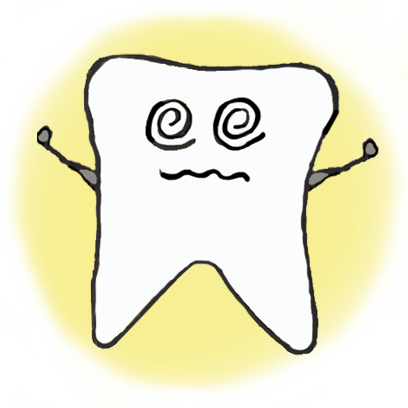 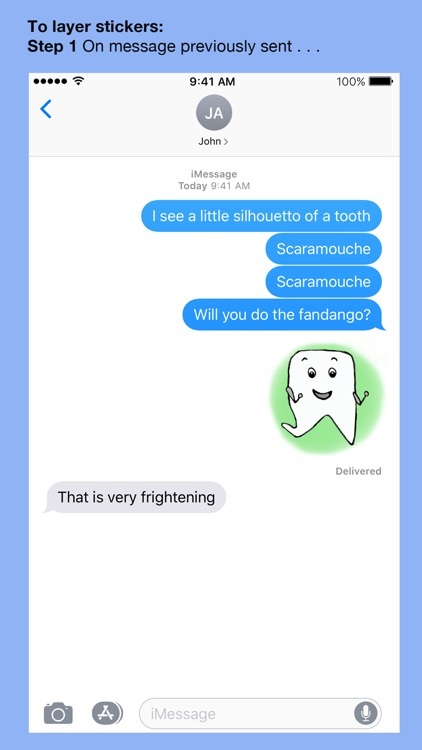 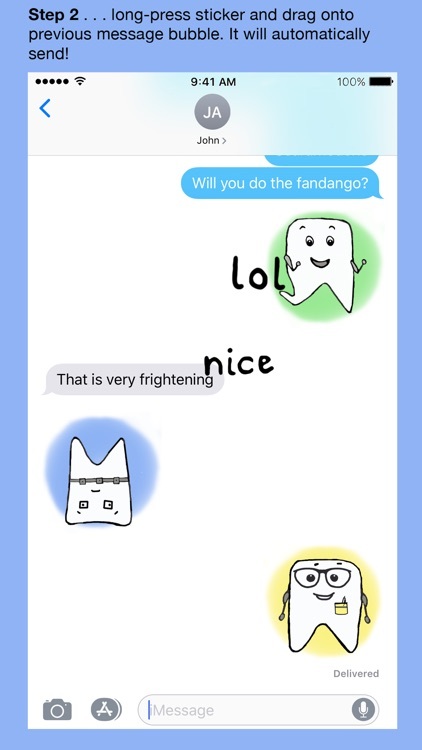 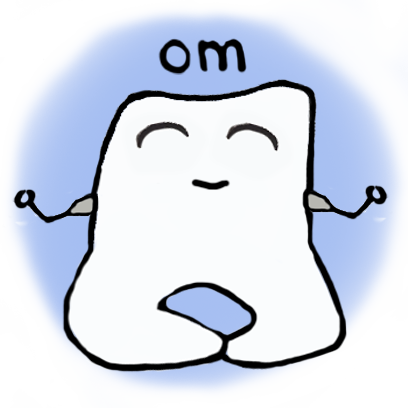 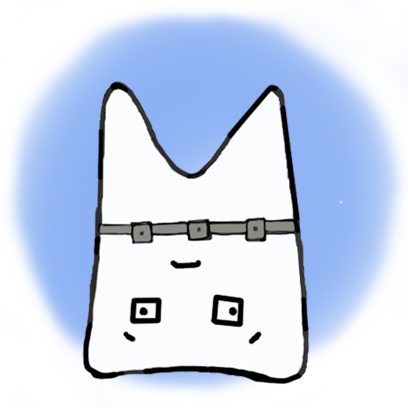 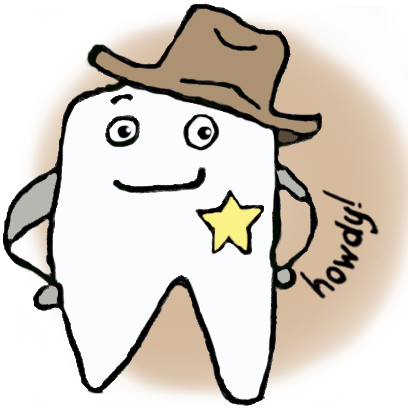 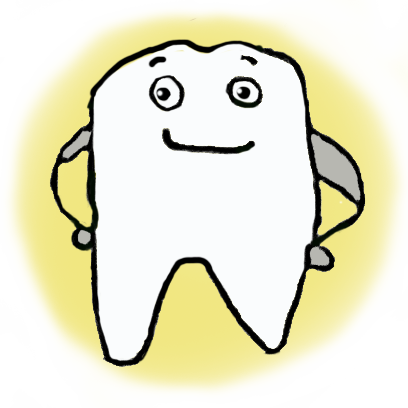 If you need to brush up your messages, your enamel-coated friend, Chip, is here for you! 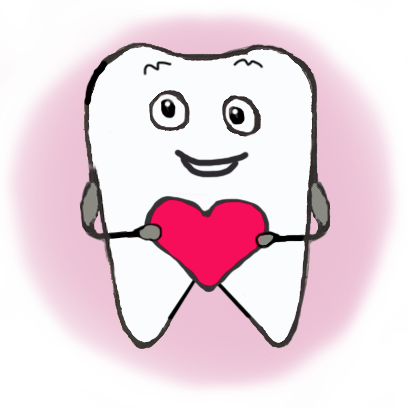 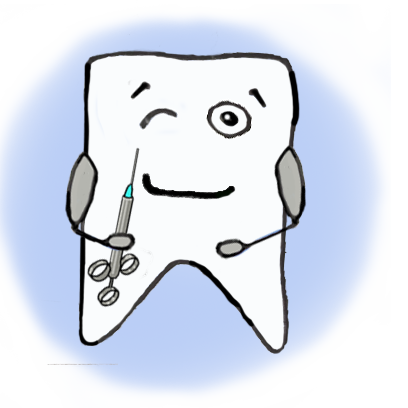 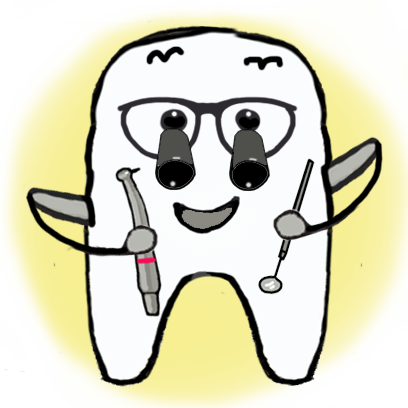 Suitable for dentists and dental students, hygienists and dental assistants, patients and parents, kids and tooth fairies, flossers and brushers -- all those with teeth or missing teeth. 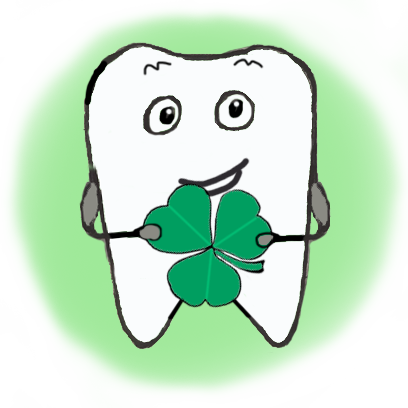 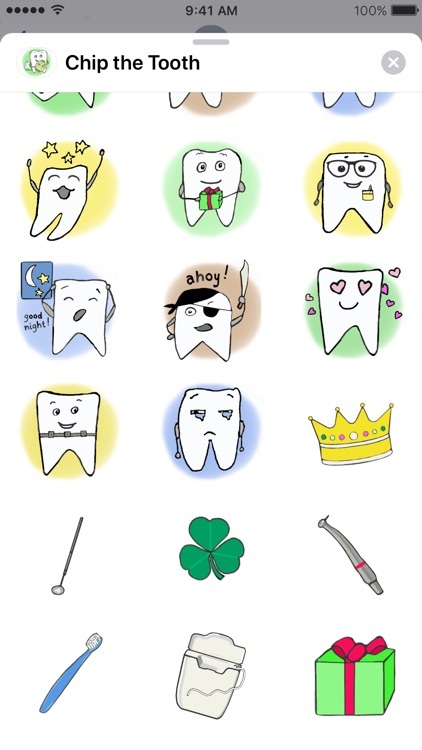 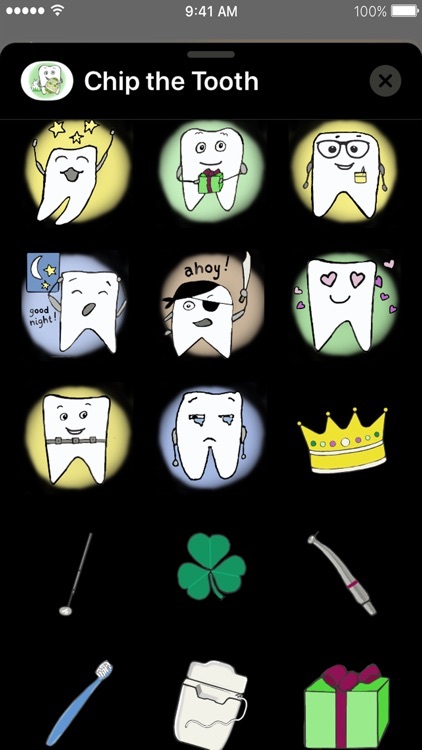 Use these stickers in good oral health!